Foursquare distiller Richard Seale uses Facebook as a tool to share his views on rum, which are many. Social media has been an increasingly utilized tool for consumers dispensing harsh opinions. But when it comes to corporations or executives doing the criticizing, the verdict has yet to be rendered. Should owners of companies call out consumers in live social media forums? One spirits producer has been using Facebook groups, specifically rum groups and occasionally a bourbon forum, as a crucial tool to spreading his message and rum beliefs. It’s here, the distiller has an engaged audience he wouldn’t have had 20 years ago. In fact, this second part of my interview with Foursquare Rum Distillery owner and distiller Richard Seale shows how his social media campaigning has wielded history, tradition and personal beliefs to carry Foursquare onto the international drinks scene. 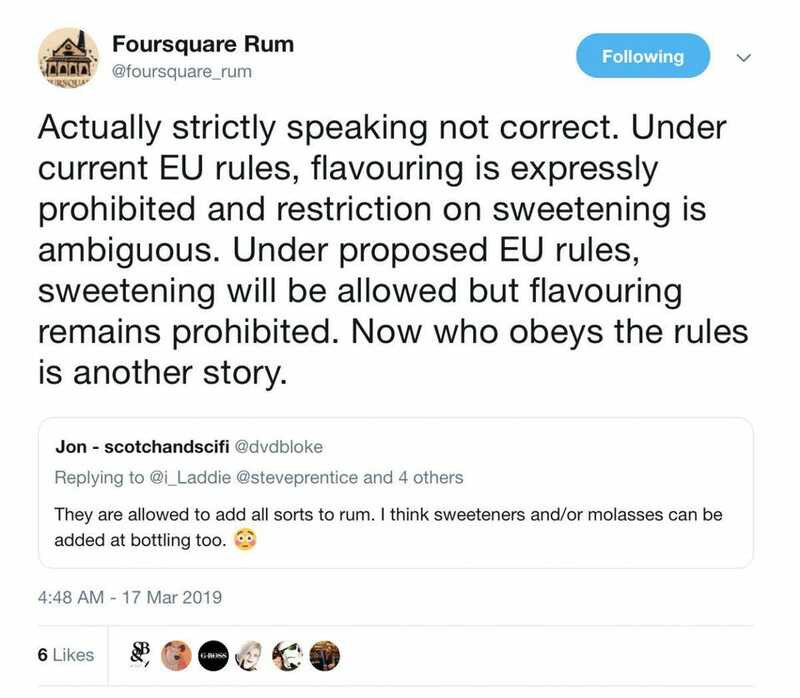 Foursquare uses social media to challenge all sorts of rum thought, but especially sweetenings. We live in a time when people want social justice. You’ve tapped into a social justice-style passion in the spirits community. How have you been able to get people to listen to your beliefs on pure rum? 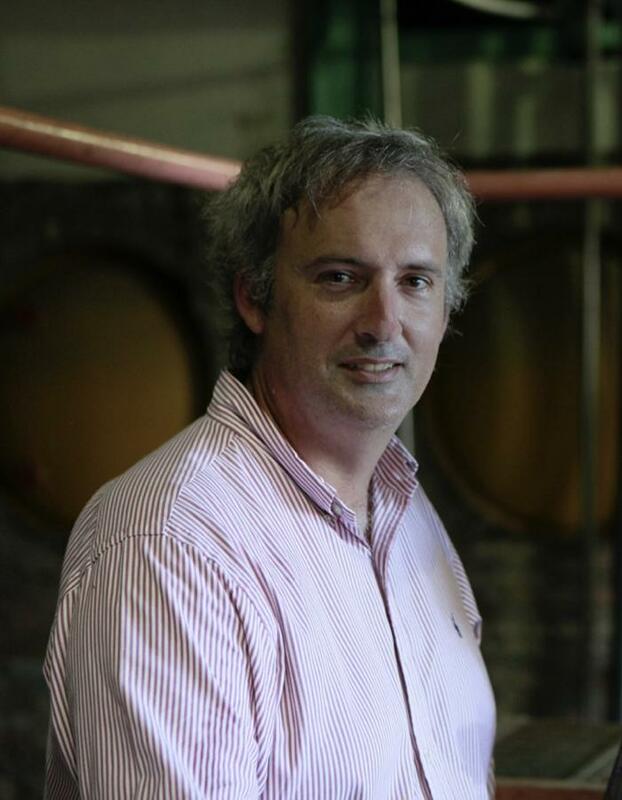 Richard Seale takes to social media to correct what he believes are people’s misconceptions of rum. He is considered one of the world’s greatest rum distillers. I think we live in an era where people want and value authenticity more than ever. This manifests itself in several ways in the spirits business and in rum in particular. Authenticity precludes the use of sugar to deceive people on the quality of the rum. Authenticity precludes the use of misleading and downright false age statements. Authenticity is antithetical to the colonial model of the Islands selling rum in bulk at low value to foreign brand owners to be aged and bottled outside of the Island. So the issues we have brought to the fore are more than the addition of sugar and these issues resonate with people today in search of elusive authenticity. Today, 17th century distilleries are for the first time in their history putting their own brands in export markets aged, bottled and owned solely in the Caribbean. We are proud to bring Probitas to the market which is a collaboration with Hampden distillery in Jamaica. There have been multiple Island blends before – blended by European interests in Europe but this is the first time that there is a collaboration between a Barbadian family and a Jamaican family. And the rum is distilled, matured, blended and bottled in the Caribbean. This might be the norm for Scotland but it’s novel for the Anglophone Caribbean. And these kinds of collaborations are motivated today because people care about these issues. And following the traditions and heritage of Barbados and Jamaica Rum, it will not be adulterated. You’re very active on social media. Do you think you would be able to convey this belief as successfully without the social media tools of the modern times? When radio arrived in the US in the 1920s, it was thought that “radio may contribute more to [democracy’s] success than any other single influence” – only for President Hoover to reflect in his memoirs that “radio lends itself to propaganda more easily than the press”. I think with every technological jump in mass communication, we have that utopian ideal it will be a tool for improving understanding only to be disappointed by eventual reality. Having said that, there is no question what we have achieved would have been impossible without social media. Social media is different in that we have very targeted communication, we have low cost communication and we have one-on-one interactive communication. There has been a tendency for brands to use social media in a way that is consistent with conventional marketing and public relations norms. Their social media puts out typical marketing imagery and answers come from the script of the brand’s talking points. They have taken advantage of the targeted communication and the low cost but not the one-on-one interaction. We have used social media to post educational articles, tackle controversial industry subjects and communicate directly on a one-to-one basis with everyone from industry writers to home consumers. People are shocked when they learn that I run our FB page personally and my wife runs our Instagram page. The ability to do this is what makes social media different. We do not have a web site but I write every post and I personally respond to messages on the Foursquare page – not a marketeer with a script in hand. People want authenticity and social media is an effective tool by which people can discern it. Your stance against additives in rum is where you’ve drawn the line and where you’ve received a great deal of attention. But many people cite historical documents, showing people were sweetening up rums and still calling them rum in the 1800s and before, as justification that their techniques are valid. How do you feel about the steadfast base that object to your belief in pure rum? I am unaware of any people, far less “many people,” pushing this and I have not seen these “historical documents” either. Context is everything. We do not have the concept of branding or rum/whisky sold in a bottle until the late 19th century. Rum and whisky were bulk commodities and sold as commodities. The mid to late 19th century is the period of intense commercialization and the era of adulteration for profit. It leads to the start of food protection and labelling laws. We have in 1872 the Act for Regulating the Sale of Intoxicating Liquors – which made it an offense for any person to make or keep adulterated liquor – and in the same year an Act to Amend the Laws for the Adulteration of Food and Drink. Adulteration in this period is nothing to boast about or copy. Milk was diluted with water with fatal consequences to infants. Grease or tallow was added to butter. Tea was readily adulterated with leaves of many varieties to boost weight. Plaster of Paris was as prized an adulterant back then as sugar today. It was added to sauces, flour, mustard and sugar itself! Coffee was adulterated with chicory and the chicory was adulterated with sawdust. To disguise the taste of Scotch Whisky with excessive fusel oil (feints) it was adulterated with sherry, prune wine, tartaric and acetic acids, spirit of nitrous ether and glycerine. In 1872, the scandalous “Mysteries of Glasgow Whisky” was published in the North British Daily Mail which identified, through testing, adulterants such as water, methylated spirits, sulphuric acid, turpentine, salt, shellac and prune wine. Cayenne Pepper and Alum were added to watered down gin. The pepper to restore the ‘bite’ and alum to restore the transparency – the oils of the juniper berry would render it cloudy with too much water. The cayenne pepper itself was adulterated with red lead with fatal consequences. Beer would be watered down and adulterated with sugar, gelatin, salt, extract of gentian (for bitter) and sulphate of ammonia. All to restore color and taste. Adulteration was ubiquitous and most often done by the reseller of spirits – for example the publican – rather than the distiller. This argument that the past justifies the present is the logical fallacy – argumentum ad antiquitatem. It is long overdue to dismiss this vacuous notion that because we can find some recipe in the past, that justifies its use in deception today. We are perfectly capable to look at the historical record of whisky and rum making and discern from it from the best traditions and practices – those that contributed to its renown and success – and codify those practices to protect the integrity of the spirit. The 1942 Jamaica Excise Tax Act prohibited the adulteration of Jamaican Rum. The 1908 Royal Commission on Whisky and potable spirits was the first attempt to codify the labelling of spirits and it defined ‘liqueurs as sweetened spirits’. The historical record shows us therefore that adulteration was not accepted and was viewed as corrupt as it is today. Only today’s marketeer would try to spin the deceptive practices of the past as romantic artisanal traditions. They add sugar today for the same nefarious reasons as the past – to sell you a 6 for a 9. You’ve also had many intellectual conversations with people holding opposing views. Have you found these to be rewarding or frustrating? I think any conversation that suggests Rum and Flavored Rum (by sweetening or otherwise) are one and the same are not of the intellectual kind. I do not find them frustrating, I find them inane. When you leave the distillery and enter the world of marketing, you enter the world of the banal and the inane. Regrettably we cannot have one without the other.